Thanks to Choiix, we now have the perfect solution to deal with these problems – the USNA95 Ultra Slim Notebook Adapter and Powerfort 10Whrs Rechargeable Power Backup Battery Pack. The former is a compact laptop adapter while the latter is a rechargeable power bank for ipod, ipad, psp, pda and other mobile devices (even your handphone). The USNA95 Notebook Adapter boasts a slim design for easy storage and portability and it is compatible with most laptops – it doesn’t matter what your laptop model is, you are provided with a colorful range of 9 charger tips which cater to almost all laptop models. Check out which color corresponds to your laptop model, plug it to your power socket, connect with your laptop and you are good to go. With its smart cable management clip, you can also avoid the problem of messy wires of your laptop and other devices. Now with the bulky heavy laptop power cable problem solved, it’s time to tackle the ipod/iphone running out of power problem. For this, we have the PowerFort 10Whrs Rechargeable Power Backup Battery Pack which requires just 3-4 recharging time and can boost an iPod’s power by another 82 hours! You can recharge PowerFort up to 500 times and it will still provide power at 85% battery capacity. 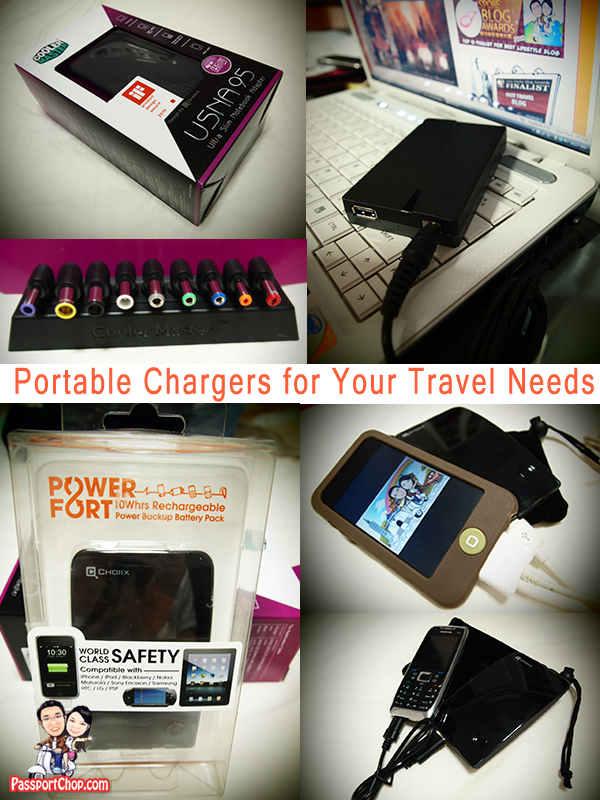 In addition, the Power Fort comes with travel bags, USB cables, and interchangeable plugs to recharge in different locations. Very easily portable and perfect for anyone on the go. Weighing at just 102g, it adds hardly any additional weight to our travel pack and its slim compact size means it can be stored anywhere e.g. day packs, pockets. I discovered just the details I already searched everywhere and just couldn’t find. What a perfect site. Like this website your internet site is one of my new favs.I like this website shown and it has given me some sort of desire to have success for some reason, so thanks. 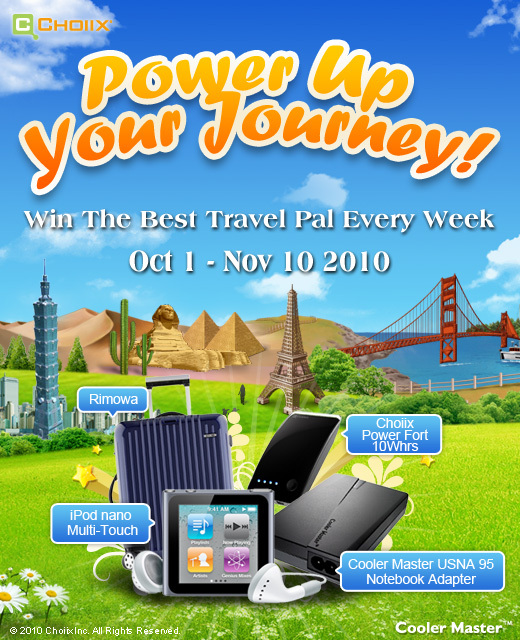 What a Cool blog and Wonderful shared to Choiix Portable iPad/iPod , Thanks author for your great post and helpful article. Really I got valuable information and effective Content here.